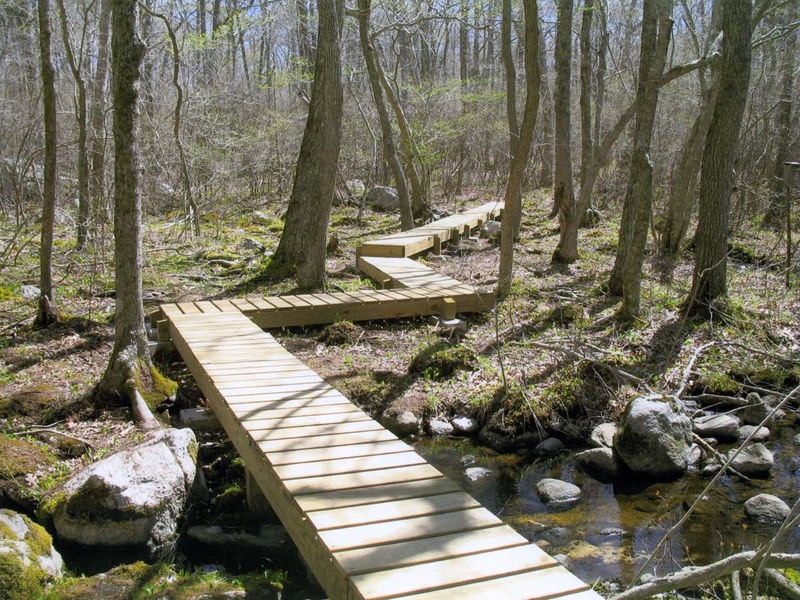 Donor : The 43-acre Frank Knowles Reserve was donated by Audrey M. Gillum, Trustee of the Ellen Knowles Jackman Trust. 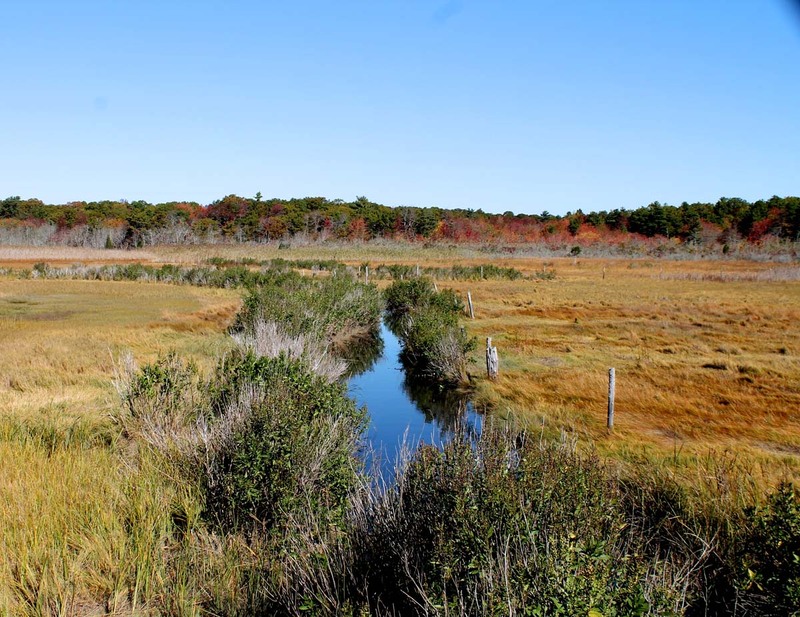 The Little River Reserve includes: a) 41 acres purchased from Elizabeth Ostric, Jane Ostric, James Ostric, and Florence Hopkins; b) 39 acres purchased from Frances Durant; c) 54 acres purchased from Anne E. Dutra and Donald N. Mendes; and d) 17 acres (known as Jonny Point) purchased as a bargain sale from Whitfield Painter. 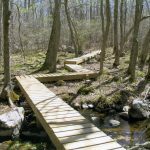 Access Point : Trailhead for the Frank Knowles-Little River Reserve is marked by DNRT sign and kiosk on east side of Potomska Road (next to small parking area). 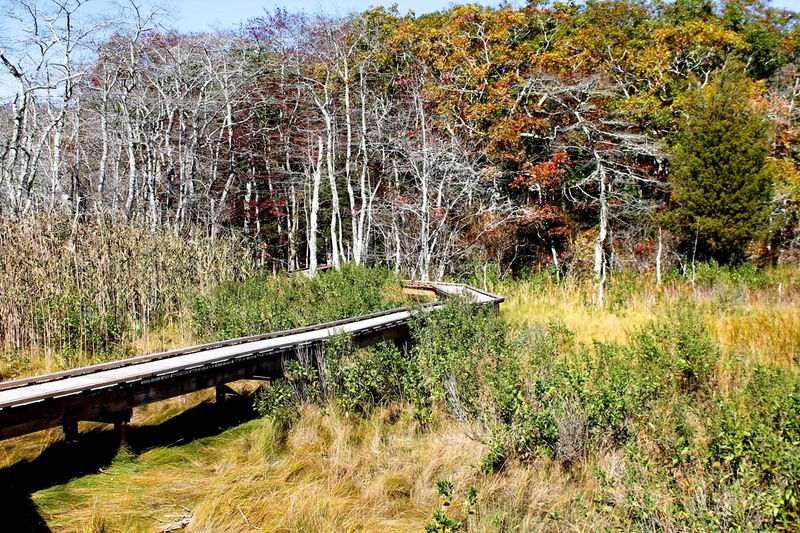 Caution: Hunting is allowed on Conservation Commission Property in season. 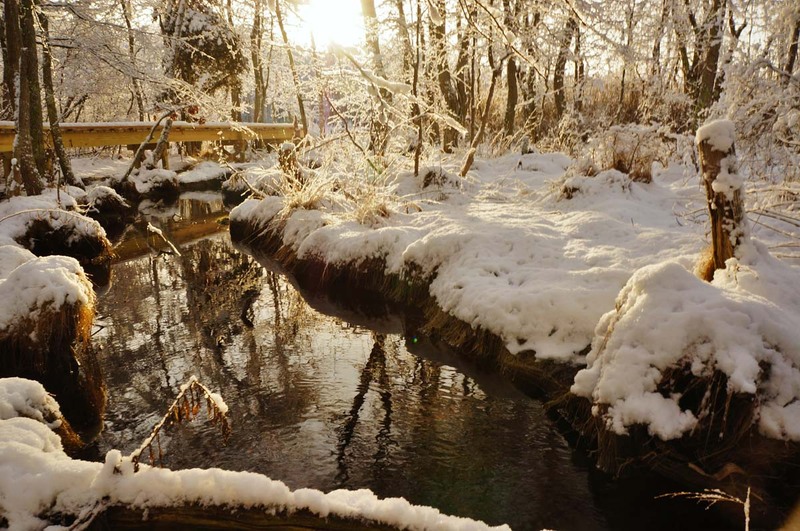 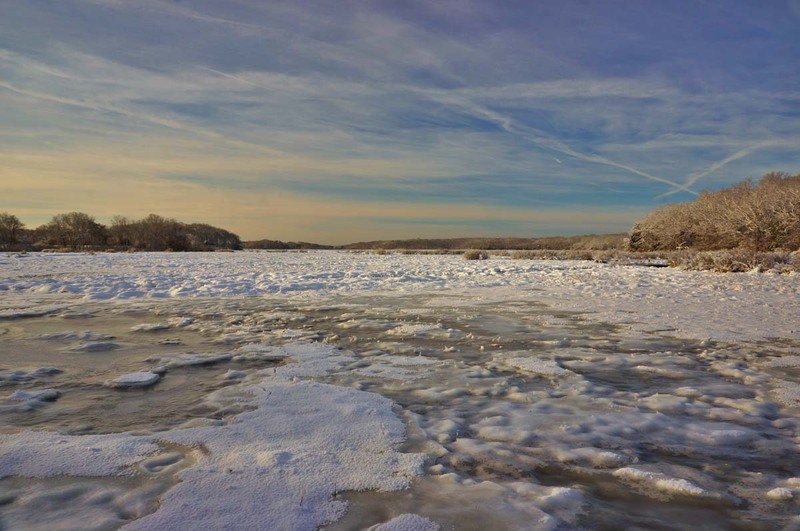 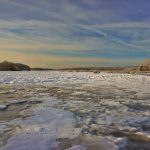 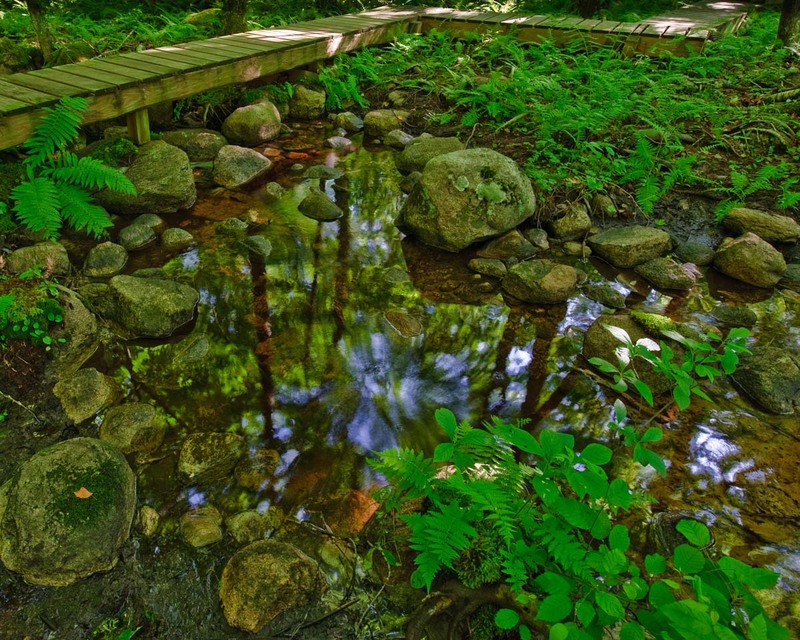 The Frank Knowles-Little River Reserve is part of a 500-acre block of publicly accessible protected land surrounding the headwaters of Dartmouth’s Little River. 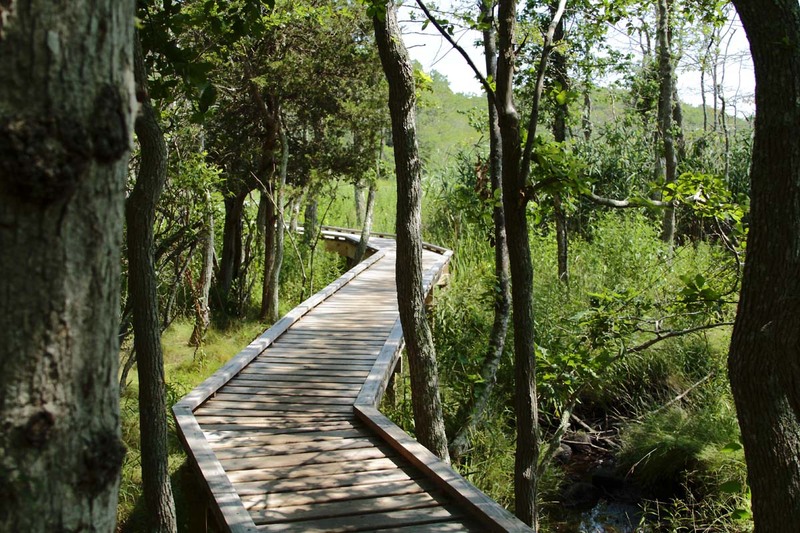 The Reserve includes 5 parcels acquired by DNRT between 1996 and 2010. 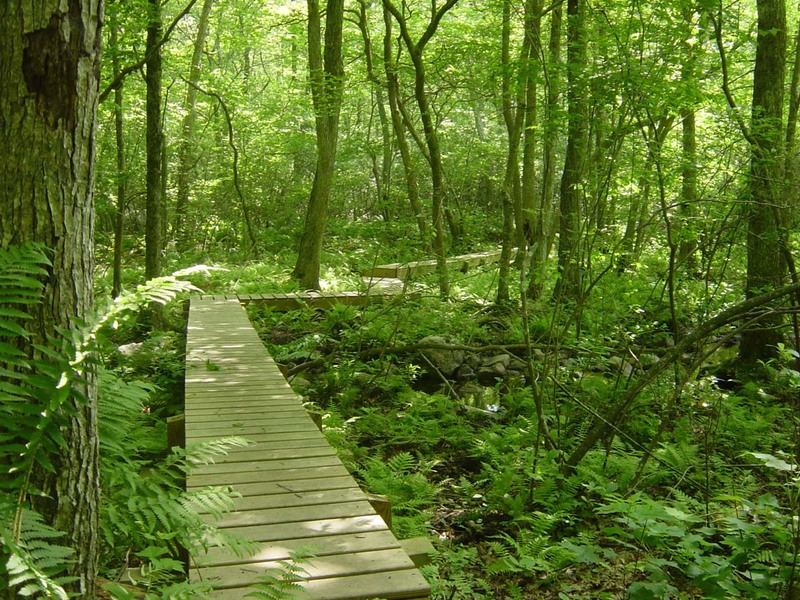 DNRT also manages the trails on the adjacent Town-owned McBratney property. 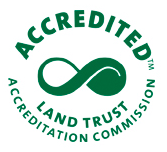 Together these properties offer an abundance of ecological, recreational, and historical outdoor experiences. 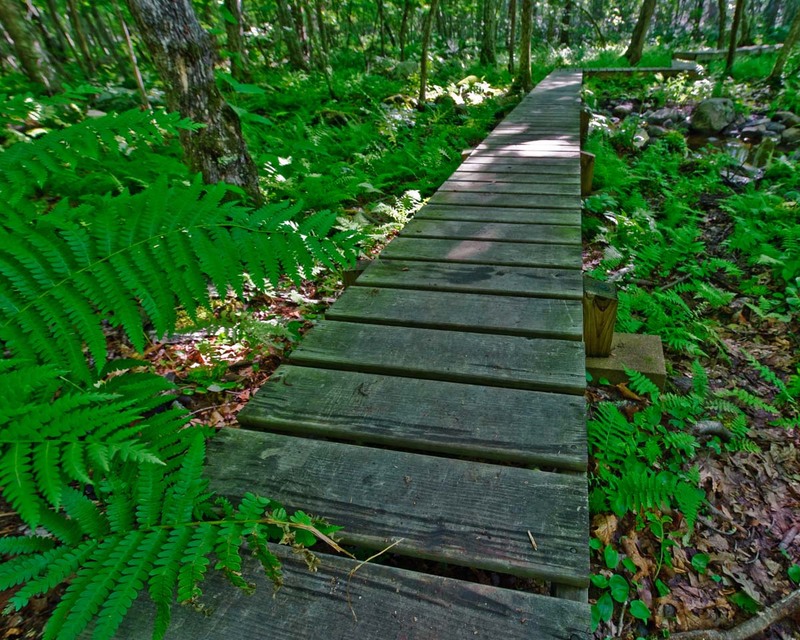 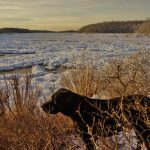 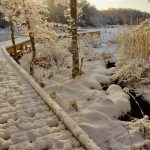 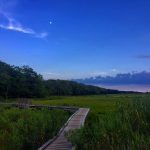 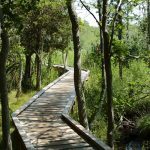 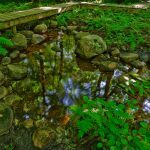 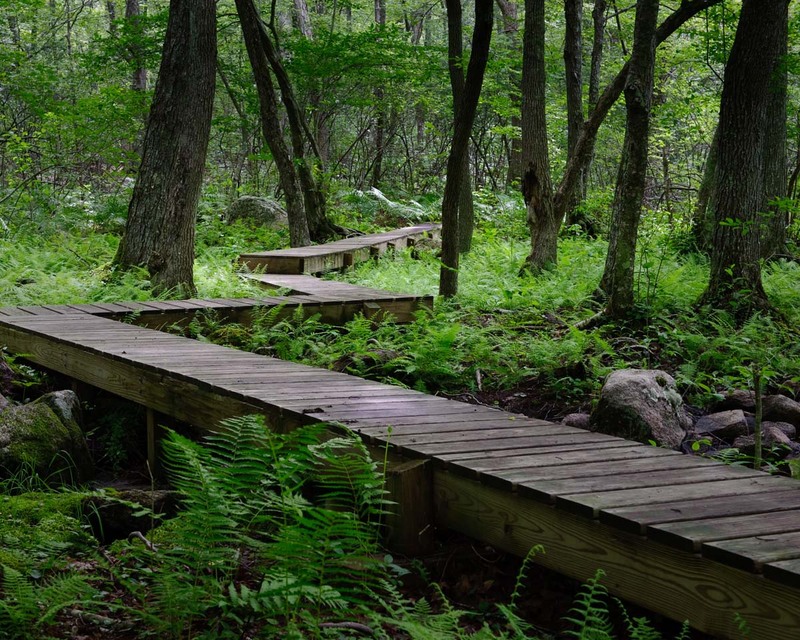 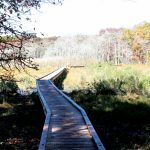 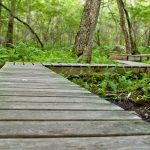 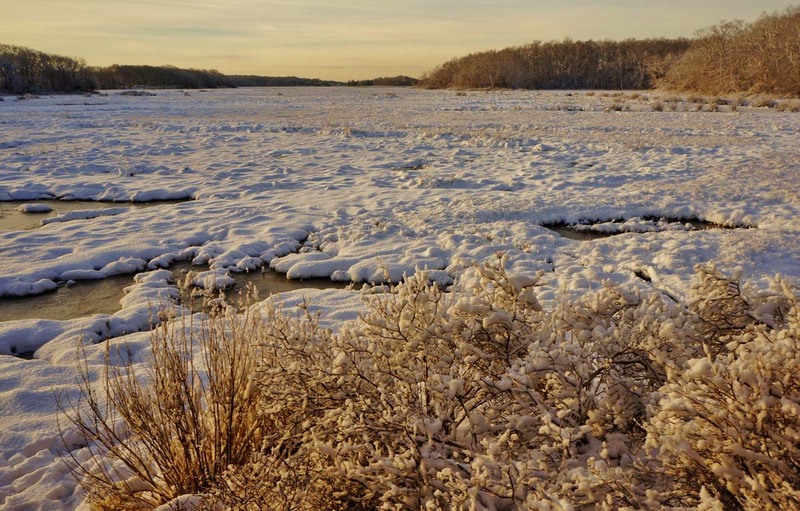 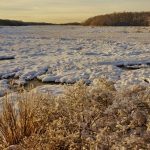 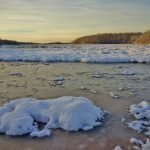 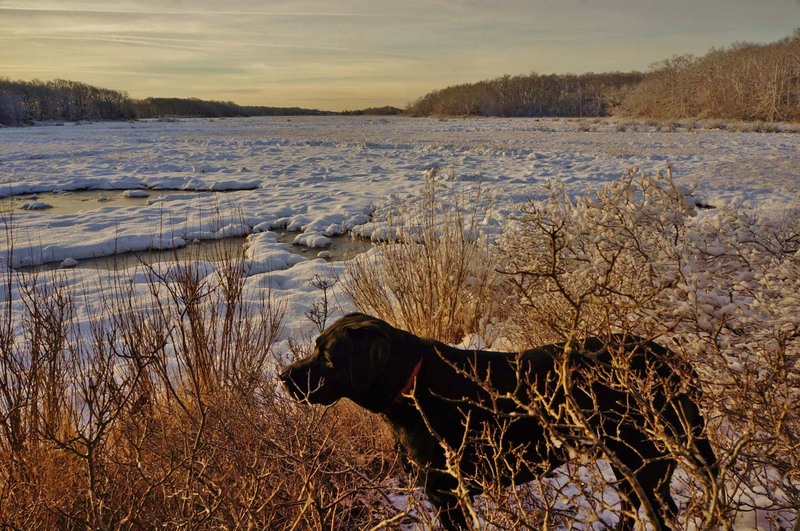 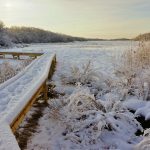 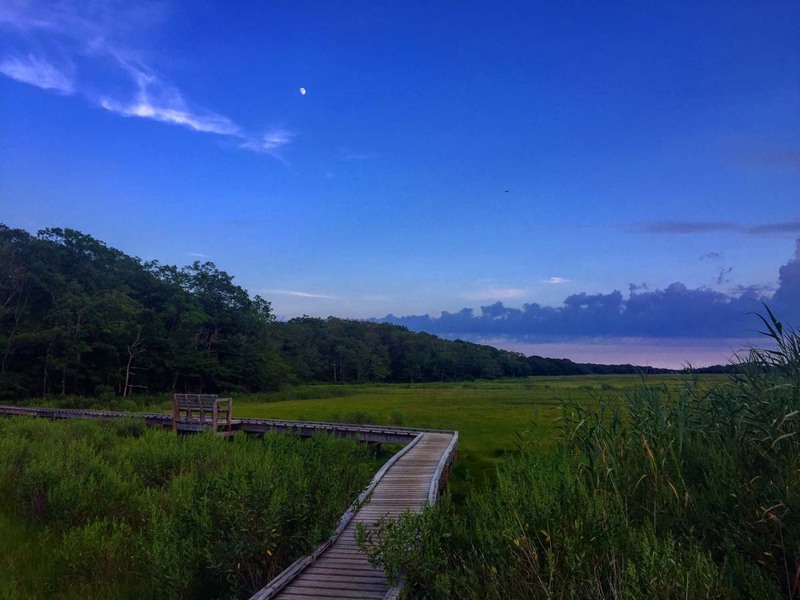 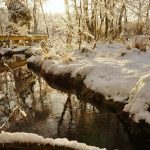 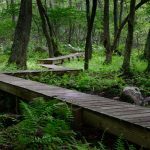 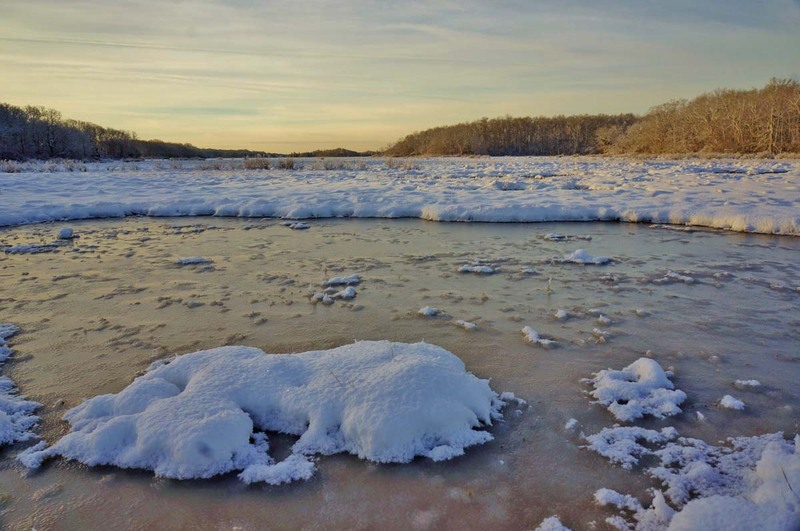 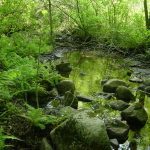 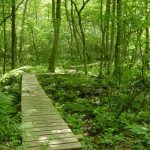 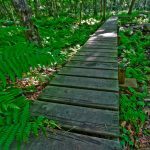 Visitors can explore nearly 9 miles of hiking trails that wind through wetlands covered with ferns and mossy boulders, hillsides dominated by hulking yellow birch and white pine, glades of austere beeches, wide expanses of salt marsh, and old fields teeming with wildflowers and bird-life. 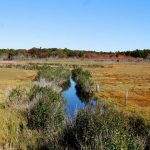 A network of stone walls and several historic farmhouse and barn foundations harken back to the days when farms covered the land. 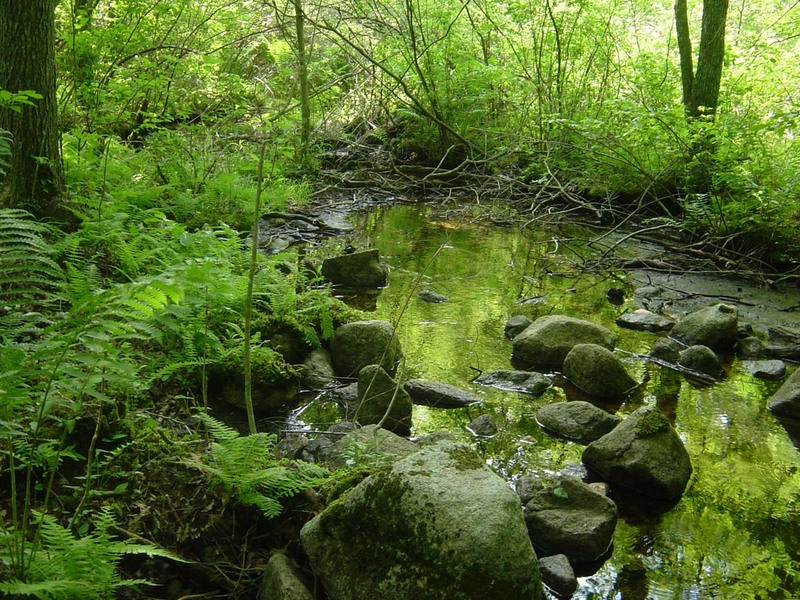 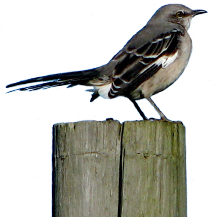 The large contiguous forest areas make excellent wildlife habitat, including breeding habitat for bird species such as barred owl, wood thrush, and veery. 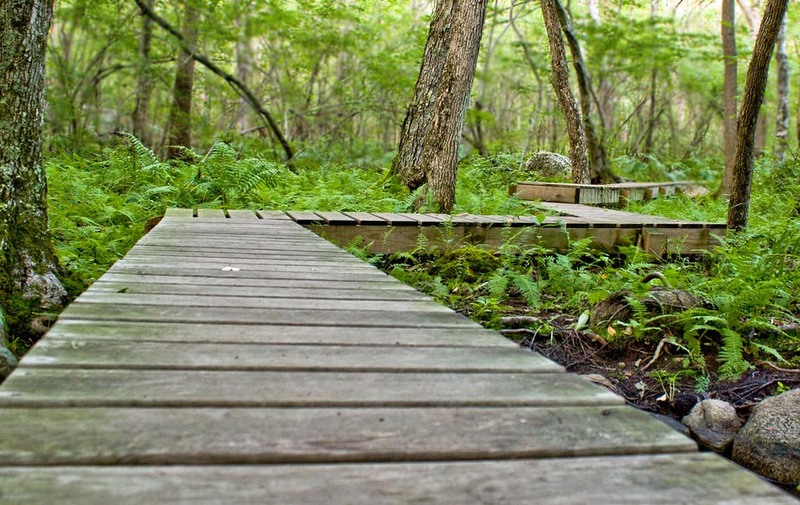 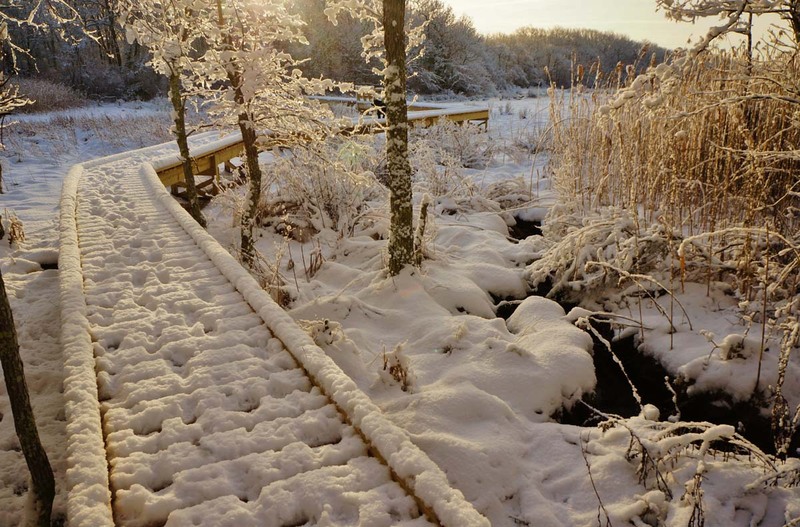 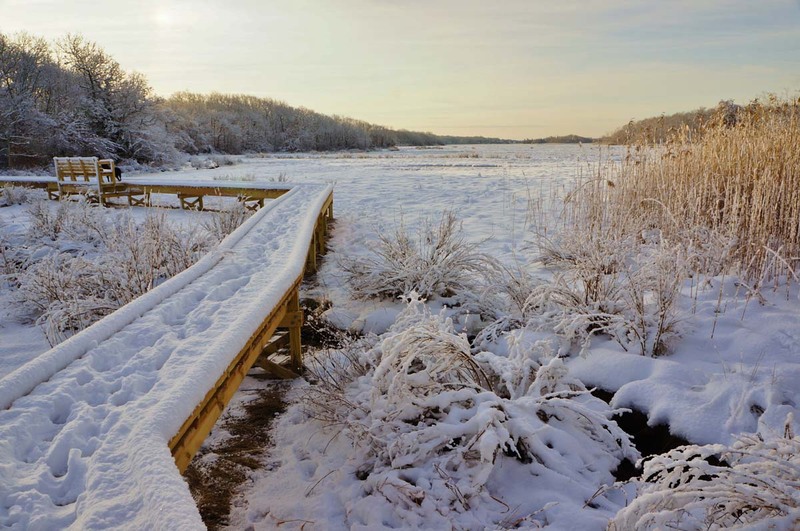 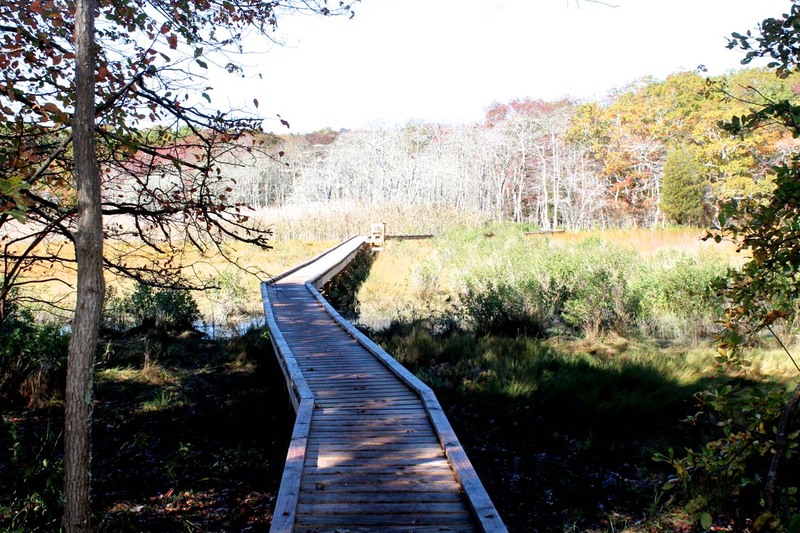 The crown jewel of DNRT’s Little River Reserve is the Boardwalk Trail, which features three boardwalks over 200 feet long: one through a red maple swamp and two that cross through pristine salt marsh at the head of Little River, allowing visitors to wander over the estuarine environment so rarely accessible by foot. 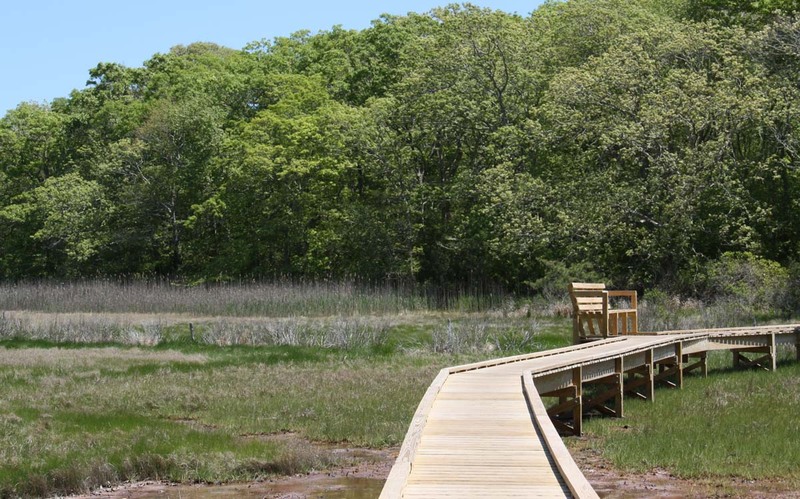 Benches along the boardwalk provide visitors with a place to take in salt marsh vistas extending nearly half a mile south toward the mouth of Little River. 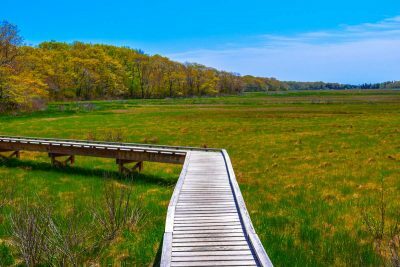 Here the salt marsh is healthy and thriving, with broad waves of Spartina and saltgrass interspersed with sea lavender and high-tide bush. 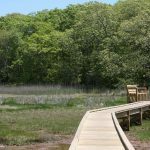 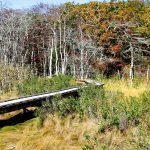 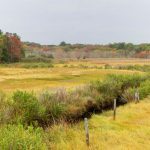 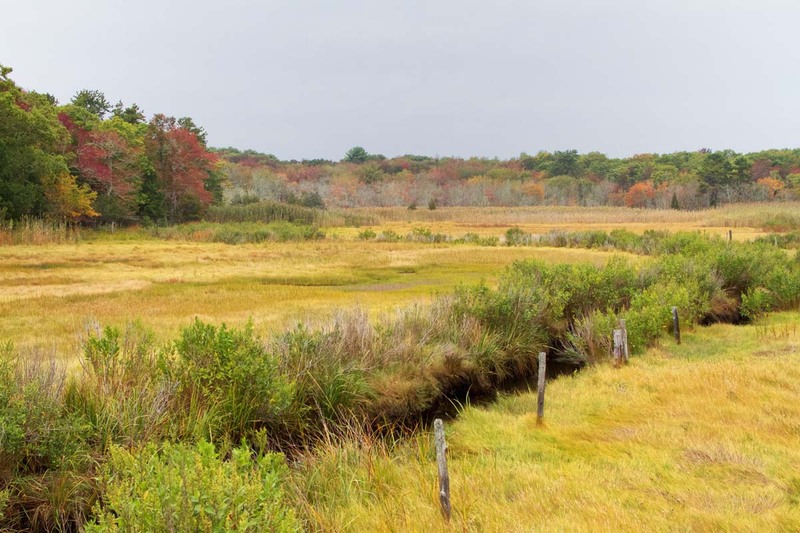 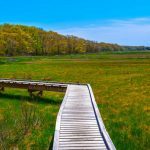 A wooded upland trail across DNRT’s Jonny Point property connects the two salt marsh boardwalks and the trail concludes at The Trustees of Reservations’ Cornell Farm on Smith Neck Road.